Today we’d like to introduce you to Diane Kubal. More than 20 years ago, I was getting my Master’s degree at Loyola University. During that time I was Director of the Job Bank for the Organization Development Network in Chicago (ODN), a professional association for consultants. In those days, there was no Monster.com or other online job boards. People would send in envelopes and as I received open position postings I would mail them out to OD professionals that were in the job search. In my career, I was laid off 3 times from Montgomery Ward, Budget Rent A Car and Cincinnati Bell Information Systems and, as a result, I had a lot of experience with job search and networking. Actually, I really enjoyed networking, meeting new people and learning about what was going on in the field. I became a master networker and that’s why I wanted to run the job bank for ODN. After earning my Masters Degree in Organization Development in 1994, I started my own independent consulting business and my networking skills came in handy! During this time, I worked with a coach who helped me to recognize that I had a natural talent for building relationships and making connections. And after a few years of independent consulting, training work, and some research on other talent agencies, Fulcrum Network was born. Since 1997, Fulcrum Network has connected hundreds of HR, Training and OD professionals with external consultants to develop their people and solve a variety of organizational issues, just-in-time. We have the database of resources across the US and internationally. It hasn’t been a smooth road, as there were a couple of years where the economy took a dive, and companies always cut back on using external resources when that happens. These downturns occurred in the late 90’s and after 9/11. Due to those events, Fulcrum cut back on staff by 50% and operated very lean, which we still do today. We were up to a staff of 8 and now continue operating with a staff of 4 people. So let’s switch gears a bit and go into the Fulcrum Network story. Tell us more about the business. Fulcrum Network is a talent agency that matches clients with external consultants for organization development, training, executive coaching, human resources and management consulting projects. Our only focus is on project-based work using independent consultants and boutique firms to deliver services to our clients. Fulcrum sub-contractor consultants to deliver all of the client services, none of our resources are our employees. We have developed many long-term relationships with our consultants deploying them on numerous projects with our clients over the years. Fulcrum is known for our seasoned network of consultants, many whom have “grey hair.” Our business model was created based on my experience working on all sides of the table. I have worked as a client who has hired consultants, a sub-contractor to other consulting firms and as a consultant, directly working with my own clients, So, our business model is also a bit unique in how we work with clients and consultants. Fulcrum is not a consulting firm and does not offer or deliver any specific services. We only focus on finding the consulting talent our clients need, so we are driven by our client needs and the marketplace. Fulcrum has often been asked to find very specialized resources with specific skills, experience as well as diverse backgrounds and there are not many other companies who deliver consulting services the way we do. Fulcrum has a rigorous vetting process that includes collecting information on each consultant, meeting them in person or virtually, conducting work demonstrations and client reference checking. This process ensures that we provide high quality and customer satisfaction to our clients. Although our consultants are not the least expensive, because we work mostly independents, it is easier to be responsive and flexible in meeting our clients’ needs. As a result of my years of experience in working with “talent,” I have developed a model and approach that names and identifies a person’s natural gifts and talents called the “essential circles.” My coaching process helps women leaders, job seekers and “solopreneurs” discover what they do best and understand why. It enables them to tap into a hidden source of energy, power and personal genius that may have been dormant for years. Armed with these insights, it becomes much easier to focus time and energy to align and embrace one’s true talent with their career or business. 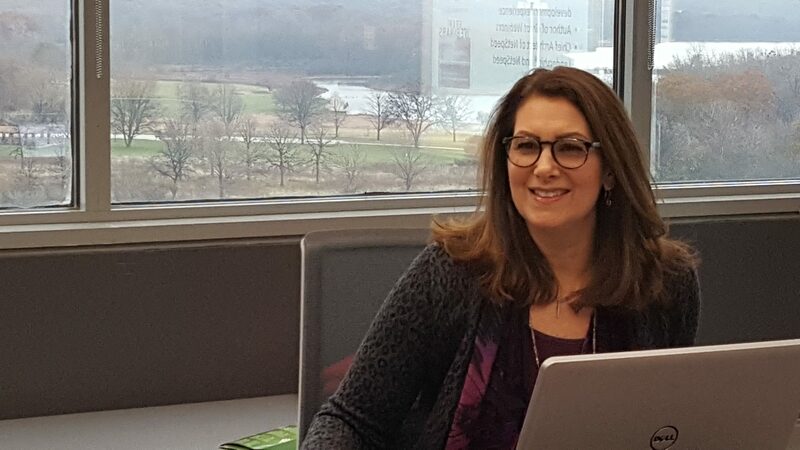 Diane’s 20 plus years of working with consultants have evolved into working with women to clearly articulate their talent and do what they do best while she continues to run Fulcrum Network. I don’t think luck has had much to do with Fulcrum’s success. Sustaining any business requires a lot of hard work, “sticktoitiveness,” some faith and talent. It’s not always easy to “stay in the game” when things aren’t going well and due to fluctuations in the economy, many “solopreneurs” go in and out of independent consulting depending on market conditions. I have planted many seeds over the years, nurturing those relationships and staying in contact with people. Everyone is much busier now than 20 years ago, so it’s not always easy to do this and it definitely requires some persistence.